Tickets for the 2016 CMT Music Awards will go on presale on TODAY at 10 AM CST. 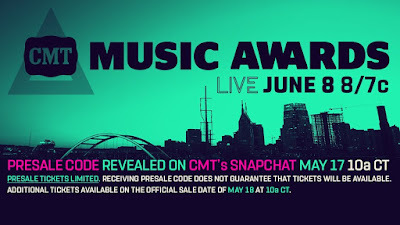 The presale code will be released on CMT's Snapchat at that time. Regular on sale time is Wednesday, May 18th at 10 AM CST. Tickets will be available on Ticketmaster.